Share the post "When to Treat Fibroids Before Pregnancy"
It is never too early or late to treat your fibroids! Find out why it is important to take that step, particularly if you plan on having children. In a young non-pregnant patient who has a fibroid the size of a 12 week pregnancy, is it necessary to treat the fibroids with embolization before becoming pregnant? This decision is ultimately a personal choice. However, in some cases, if your gynecologist believes that the location of the fibroid might be a problem that can affect your ability to become pregnant or during a pregnancy, he or she may suggest that you look into fibroid treatment alternatives. Some fibroids can become an issue by way of blocking the birth canal or can be located in the cavity of the uterus and may cause a miscarriage. If this is the case, your gynecologist may advise you to take steps to treat the fibroid ahead of time so as to avoid any unnecessary and preventable health issues. 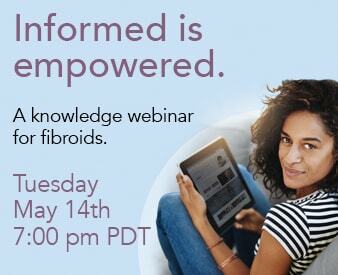 Looking to embolization as a way to treat fibroids may be optimal for many women, like you, that don’t want to go through the complications of surgery and strive to look for a less invasive approach. Up to date, there is no history to suggest that embolization would interfere with a later pregnancy. However, even though about 1% of patients may lose their periods after embolization, a similar number could develop infertility from adhesions as the result of a surgical myomectomy or complications of other surgical procedures. Therefore, the risks associated with treating fibroids with any procedure are always a trade-off. It is never too late or early to treat your fibroid issue. Let us help you in your journey to explore treatment options, give us a call at 866-362-6463. By calling this number, you can request to have an in-office consultation with Dr. McLucas, or you can opt to engage in a FREE phone consultation in which he can give you a general assessment of your individual situation and offer you some valuable medical suggestions. Either way, we are here to help!